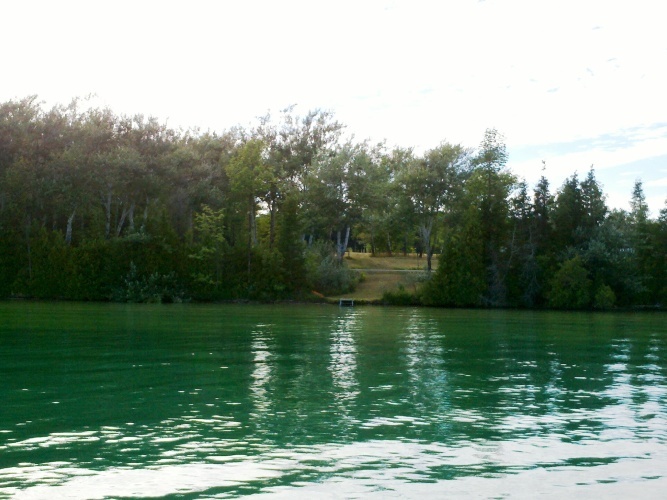 The best of both worlds are enjoyed with this exceptional 2.5 acre building site offering 159 feet of private, North Lake Leelanau water frontage and shared Lake Michigan sandy beach frontage at the end of the private road! This ideal building site located within Leland Township is enhanced by slightly elevated, completely controlled year round water views and sandy private water frontage perfect for boating and swimming! Adjoins large natural Leelanau Conservancy Clay Cliff Preserve. All within 2 miles of the quaint Leland Village, shops, restaurants and marina!